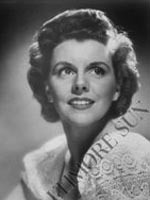 Jean Gillespie played guest roles on Television from the 1940s through 1984. 07/07/1975 0304 Guilty After being charged with the physical assault of a colleague, a college professor agrees to take a polygraph test to prove his innocence. When he fails, he begins to question technology and its relevance in the world.